There is nothing like the first days and weeks with your brand new baby. The sleepless nights, endless snuggles, the tears (theirs, and sometimes yours), that new baby smell, the love. The biggest most life consuming wonderful love. THAT is what I capture. 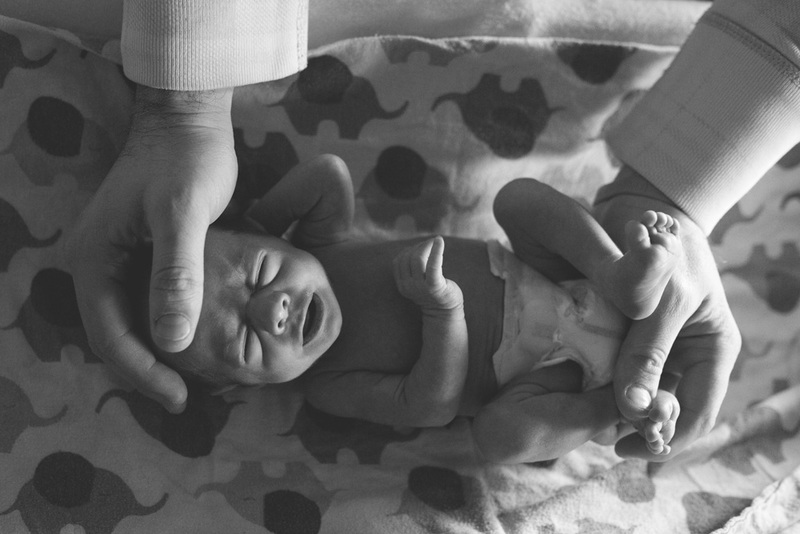 Newborn sessions run like a mix between a Day in the Life Session and a Lifestyle Session. There is a little bit of posing, or placing you in good light. There is a lot of just being with your baby (and partner and baby’s siblings if you like). There is time for nursing or bottle feeding, diaper changes, rocking. There will probably be sleeping shots, and awake shots too. There will likely be the easy way he falls asleep in your arms. And the little cries as well. Often a clothing change or two is required. Because that’s what babies do. My goal in a newborn session is to capture everything you want to remember about having a newborn. Because this time goes so so fast. There will be no rush and no expectations. I’ll spend about 3 hours photographing your family in your home. Whatever happens, happens. Digital images are included in your session fee. I will not ask you to choose your favorite moments or memories. I would be honored to photograph this time in your life. Please contact me for more information.